The latest rhino poaching statistics indicate that a total of 381 rhinos have been killed since the beginning of this year, according to the Department of Environmental Affairs. The total number of arrests remains at 199. Thus far, the Kruger National Park has lost 236 rhinos to poaching. Limpopo, KwaZulu-Natal and the North West provinces continue to be the hardest hit by poachers- collectively accounting for the loss of 117 rhinos. The number of individuals arrested in connection with rhino poaching remains at 199. 176 of the arrested are at the level of poacher, 10 are receivers and 13 are couriers. Book a safari that makes a difference with the Shamwari Group. 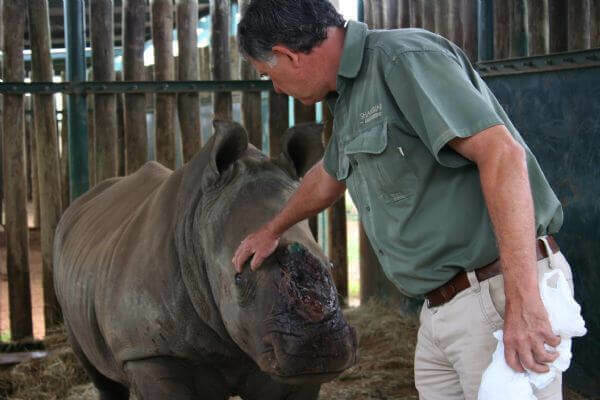 In conjunction with the Wilderness Foundation, we urge you to join the Shamwari Group, recognised as a leading conservation and hospitality group in South Africa, in the fight to save the rhino. Experience the beauty of this remnant of the dinosaur age at Shamwari Game Reserve, Jock Safari Lodge or Sanbona Wildlife Reserve at the discounted rate of *R3500.00 (in winter) or **R3750.00 (in summer) per person per night, sharing. Stays will include luxury, five star accommodation, all meals (breakfast, lunch, dinner, high tea), game drives (two for every night booked), tea, coffee, water, game drive beverages, tourism levy and VAT. A donation of R100 per person per night qualifies you for this discounted rate and the Shamwari Group will donate R500.00 for every room night sold on this offer. All proceeds will be donated to the Wilderness Foundation. Donation proceeds will be audited by Grant Thornton. Don’t forget World Rhino Day is on the 22nd of September.